A game of chess is a complex affair. It starts long before the first move has been played. It starts at home. For chess, the wise words of Benjamin Franklin, “By failing to prepare, you are preparing to fail” are applicable to the fullest. But how do you prepare? For now we will leave the psychological aspect out (and for those needing a shortcut here’s another famous quote, this time from Bobby Fischer: “All things being equal, confidence wins games.”) and we shall concentrate on the more technical aspects of training concerning the three main phases of the game – the opening, the middlegame, and the endgame. I will start with the endgame and you should also start your preparation with the endgame. The reason for this is that if you make a mistake in the endgame there is no next phase where you could correct your error. It hasn’t been said for anything that the game is won by the player who commits the penultimate mistake. The study of the endgame can be divided into two parts: the study of theoretical endgames and study of practical endgames. You should start with the theoretical endgames. You simply must know how to win or draw certain theoretical positions. There isn’t much left to the imagination here. These positions must be learned by heart with the clear understanding of the winning or drawing play. This is done by setting up the board and then trying to find the correct way yourself first and only then looking up the solution in the book. I can recommend two books for this purpose. The easier one is Jesus de la Villa’s 100 Endgames You Must Know. The more difficult one, and the one even the World Champions use is Dvoretsky’s Endgame Manual. De la Villa provides the basics, Dvoretsky provides everything. Your choice will depend on how ambitious you are, but for starters, by all means, learn the basics (but do learn them well!). The practical endgames are more difficult to “learn.” By learning here I mean “obtaining the good feeling for the endgame.” All good endgame players have a feeling for the endgame and you obtain that by playing through endgames played by the best players in history. It is very important not to rush while analyzing these games – remember, you are learning to feel. Try to decide on a move alone first before looking at the move played by the master. If the move the master made is different, try to understand and feel why he decided to play that move. The choice of books is vast here, basically, any good book with well-annotated games will do. 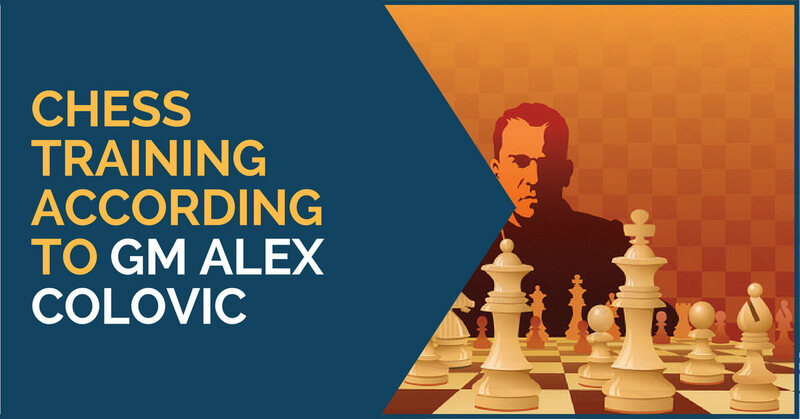 Personally, I learned the most from the games of Capablanca, Alekhine, Rubinstein, Botvinnik, and Smyslov. Next, come the openings. 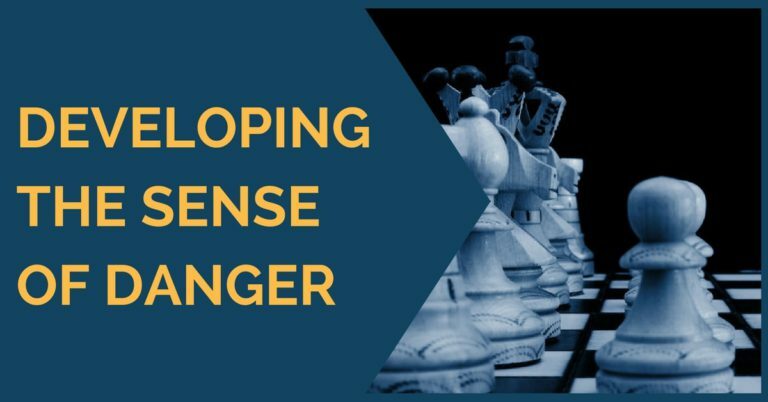 The importance of openings has increased nowadays and you should have a good repertoire in place in order to get decent middlegame positions. The logical question is: how do you construct a repertoire? This is a huge subject and there are books written on it. I will keep it short and concise here. How do you choose an opening? It will mostly depend on your taste. You like playing certain openings and positions so that is a good starting point. Then you have to study them. In the old days, this was done by collecting material from magazines and newspapers, Informator and tournament bulletins and then analyzing the games and looking for improvements. Nowadays, it’s all databases and Stockfish. Of course, nothing wrong with getting a book on the opening you like, but sooner rather than later the book will become obsolete and from then on you will have to rely on the database and your trusted engine. So what you do is you look up the games played by the strongest players in the chosen opening. These games are important for understanding the opening, the plans and typical ideas and also the modern trends in the opening. 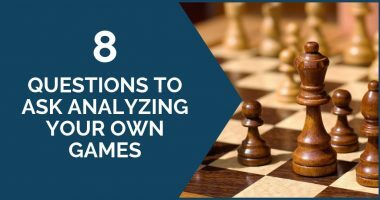 While going through these games make sure you keep the engine running as it will suggest new moves and ideas that will broaden your understanding. That is how you analyze an opening as all the lines you look at with the help of an engine should be saved and stored in a database consisting of your opening analyses. Once you’ve looked at the games of the best players, you should switch to the Opening Tree. The Tree will give you an overview of the main moves, their percentages and the number of games played with each option. You should go along each branch of the tree, selecting several instructive games in each (these may be from lesser-known players, but should have an interesting idea or a plan that will help you memorize the line better). The engine running all the time again is a must, as it will suggest various improvements which you should analyze and save in your file. As you can see, after the initial work of actually understanding the opening, the remainder of the work is largely a technical one. This will involve updating your files when a new game is played and this should be done on a regular basis if you want to keep your repertoire up-to-date. This is how openings are learned and studied in modern times. If you don’t have the time to invest in keeping your openings up-to-date, then you are limited in your choices of an opening. You cannot play a Najdorf if you don’t follow the latest developments. In this case, make sure you choose openings that are not so dependent on modern developments. Such openings are the Queen’s Gambit Declined, certain Slavs, the Spanish, the French, the Caro-Kann and even the Scandinavian. The middlegame is the most complex one to study. Here I’d suggest sticking to an improvement of your tactical skills. If you have done the work on your openings properly, then you will know the plans and ideas for the middlegame. This means that you won’t need to invent complex plans – your main work in the middlegame will be the calculation. In order to learn to calculate well first, you need to be able to see the moves. This is done by solving a lot (and I mean a lot) of relatively simple tactical exercises. These are called “small tactics” and that means simple double-attacks, discovered attacks, forks, pins etc. These need to be drilled in thoroughly. In this case more is indeed better, so the more exercises you solve, the better you will become. The important thing is to start with really simple ones and then build on that. 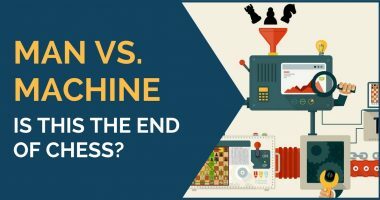 I would recommend using a book rather than an online platform or even a computer screen as these affect the brain negatively. Any book more or less should do, as long as it’s adjusted to your current level. Once you feel confident in solving these exercises, you can up the ante and start doing them blindfold. Look at the position for some time, then close your eyes and try to solve it like that. A word of warning: it will be difficult and you will suffer like hell! In the endgames, start with the theoretical ones and then learn to feel by studying the endgames of the great players. In the openings, use the database to determine the best games and analyze them with an engine. Make sure you save everything to your personal repertoire database. In the middlegames, concentrate on improving your calculation by solving a lot of tactical exercises.